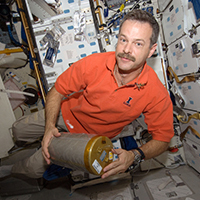 Former NASA astronaut, U.S. Navy captain and Illinois alumnus Scott Altman will serve as the grand marshal of this year’s University of Illinois at Urbana-Champaign Homecoming Parade. The parade takes place Friday, Oct. 12 at 6 p.m.
A native of Pekin, Illinois, Altman was an aerospace engineering major at Illinois and a member of the Sigma Chi fraternity. After receiving his degree in 1981, he joined the Navy. 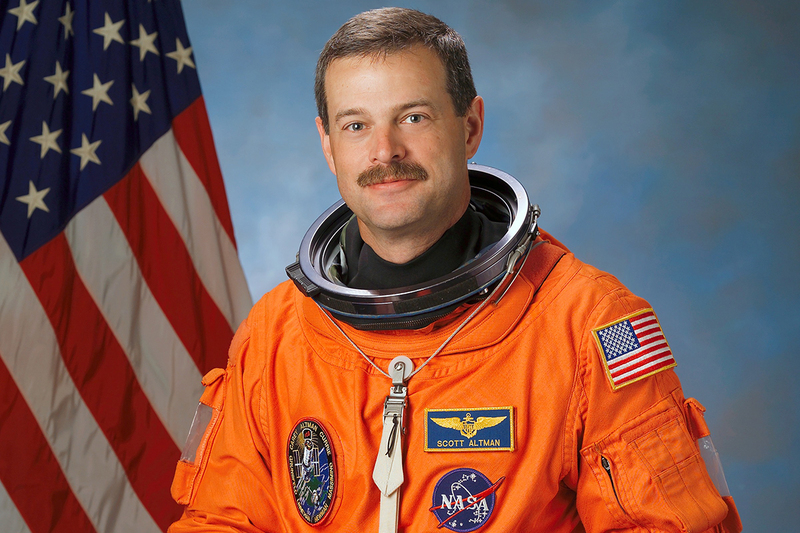 He earned the Navy wings of gold two years later and graduated from Navy Test Pilot School in 1990. Altman was awarded the Navy Air Medal, the Distinguished Flying Cross, Defense Meritorious Service Medal, Navy Commendation Medal and Navy Achievement Medal. While stationed at Naval Air Station Miramar in San Diego, Altman was a stunt pilot for the movie “Top Gun.” His flying experience earned him screen time as an F-14 pilot, standing in for Tom Cruise’s character to perform aerial acrobatics flights. In his honor, “Top Gun” is this year’s Homecoming “Movie Viewing on the Quad” at 7 p.m. on Thursday, Oct. 11. 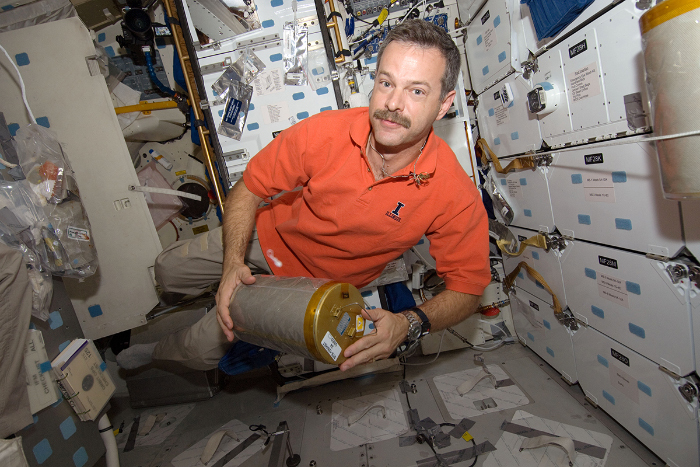 Picked by NASA for the astronaut program in 1995, Altman completed four space shuttle missions; on a mission to the Hubble Space Telescope, he took a photo wearing an orange Illinois polo shirt. 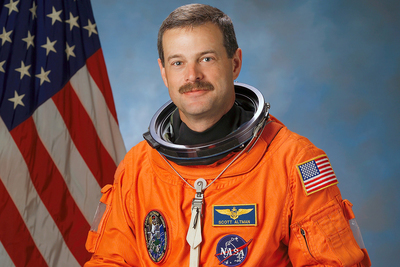 After 15 years at NASA, Altman retired in 2010 and worked in the private sector. The U.S. Astronaut Hall of Fame at NASA’s Kennedy Space Center inducted Altman in 2018, making him one of 97 individuals chosen for the honor by flight directors, historians and journalists. Altman last was on campus was in 2011, when he was presented the College of Engineering’s Alumni Award for Distinguished Service. He said he is looking forward to walking the grounds of his alma mater again. Altman says he owes much of his success to his experiences as a student at Illinois. Homecoming festivities will begin Sunday, Oct. 7 with the Homecoming 5K and the dyeing orange of the fountain near Hallene Gateway. New events this year include Wear Orange Wednesday on Oct. 10 and a carnival on the Quad at 3 p.m. Oct. 12, before the parade. See the full list of Homecoming events here. Starting at 5:30 p.m. Friday, Oct. 12, several campus-area streets and intersections will be closed until the parade ends at 7 p.m. The route begins at Sixth Street and Lorado Taft Drive in Champaign, traveling through Campustown and turning south on Mathews Avenue in Urbana to end at the Main Quad. To view the parade route and street closures, see this map on the Homecoming website. Parking lot E-3, next to the Main Library, will not be accessible between 5:30 and 7 p.m. No entrance to or exit from the facility will be allowed. Staging for the parade will take place around Krannert Art Museum on Sixth Street. While Peabody Drive will be open to motorists, expect delays. At 7 p.m., all streets and intersections will reopen and buses will return to regular routes.